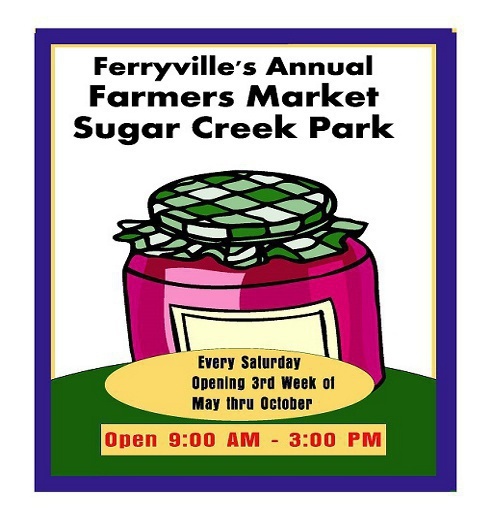 The Ferryville Farmers Market opens every Saturday beginning the middle of May through October at Sugar Creek Park, Hwy 35 (WI Great River Road) south of Ferryville, WI. Market hours are 9 AM - 3 PM with venders of all kinds selling fresh produce, baked goods, jams, jellies, preserves, craft items, woodcrafts, Amish craft items like a large selection of hand-made baskets, quilts. 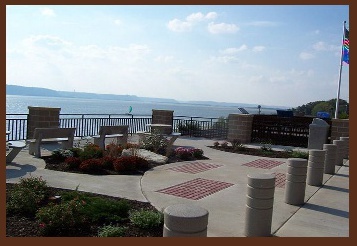 You will find crafters selling their unique yard ornaments, maple syrup, nuts, fresh horseradish, unique jewelry artists, plants, flowers and more. You will also find venders selling tools, fishing/hunting gear and the complimentary cup of Kickapoo Coffee with Driftless Morning brew is available as long as it lasts. Shop soon and shop often. Support the local market where you are always welcome.